Gift package of 41 custom tokens in popular japanese manga style, usable for Magic: The Gathering card game. 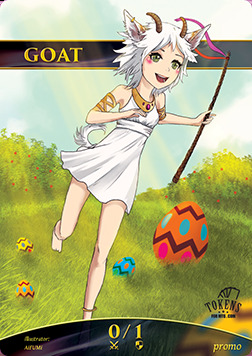 Bonus Easter-themed token (Goat) available only in this box! Printed on high quality 350 g/m cardstock, wrapped in plastic foil and a cardboard box.